Carleen Anderson announced as final performer for Frederick Douglass: An Abolitionist Returns to Bristol on Bank Holiday Monday. One of the most powerful vocalists of the modern era and a Jazz FM UK Vocalist of the Year, Carleen Anderson has been announced as the final performer for the Frederick Douglass event taking place on Bank Holiday Monday. As part of this event, marking the bicentenary of Douglass’ birth, Carleen will be performing at the newly announced final venue – The Wills Memorial Building - concluding an inspirational day of performance from icons of film, theatre, politics and religion, in honour of the life and work of this champion of the abolitionist movement. 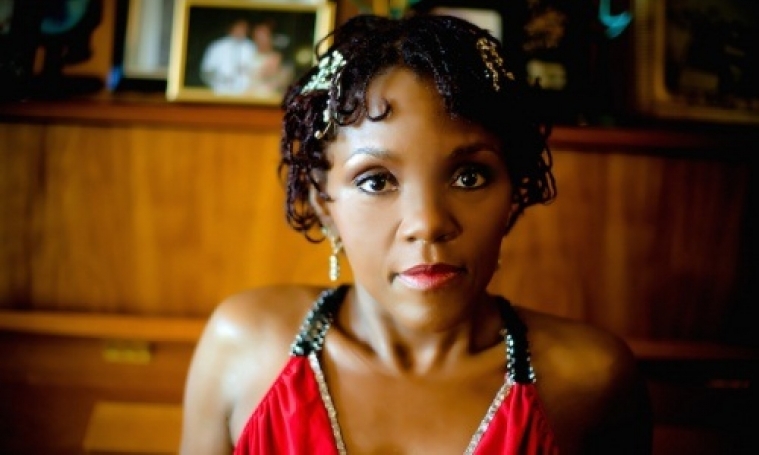 Carleen Anderson has been a favourite of audiences and fellow artists alike for over two decades. Amy Winehouse famously claimed she would; “hang around all day just to listen to her sound check”. She is soul music royalty- James Brown was her godfather, Bobby Byrd her step-father and Vicki Anderson, her mother. She is well known as lead singer for the Young Disciples, receiving a Mercury prize nomination for their album Road to Freedom which included the dancefloor hit “Apparently Nothin’”. Her first solo album The Spirit was nominated for a Brit Award in 1995. Her collaborators include Paul Weller, Brand New Heavies, Johnny Cash, Chrissie Hynde, Paul McCartney, The Ronny Scott’s All Stars and many other musical legends. She joins Young Vic Artistic Director Kwame Kwei Armah, The Queen's Chaplain Rev. Rose Hudson-Wilkin, Bristol City Poet Vanessa Kisuule, Hollywood actor Danny Sapani and Bristol Mayor Marvin Rees who will be performing extracts from Frederick Douglass’ electrifying speeches across Bristol on Monday 28 May from 8.15am onwards.